Green With Envy Salsa Party! 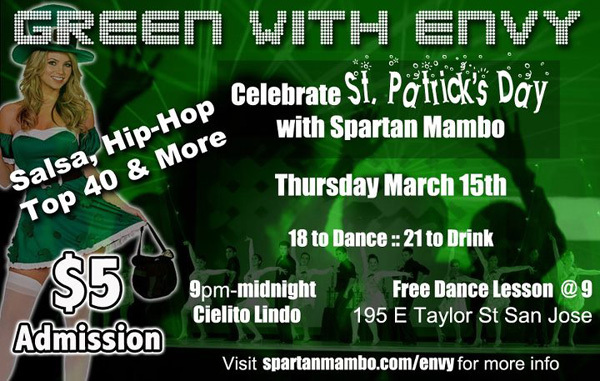 Come join Spartan Mambo and the SJSU Salsa Club for our first event of the year, at the Cielito Lindo restaurant in San Jose! Salsa lessons, dancing, and more! Be sure to wear green!